Concussion rule: common sense or just a nuisance? 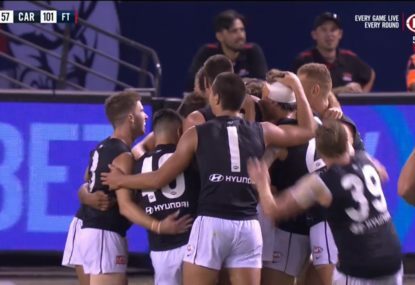 Last night we got our first look at the AFL’s new substitute rule, but it was another new rule – the concussion rule – that managed to dominate post-game discussion after Carlton’s 20-point win over Richmond. 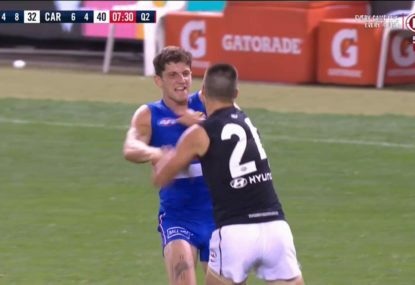 Blues forward Jarrad Waite wasn’t allowed to return to the field after being concussed in the second quarter. 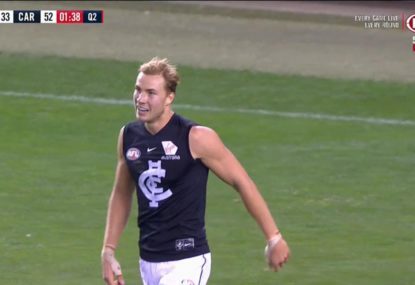 It forced the Blues into subbing Waite off and supporters of the club were far from impressed. The new rule requires that any player who is diagnosed with concussion during a game – no matter how severe – can no longer return to the field. Even if ten minutes later they show no symptoms at all, once the club doctor has determined there’s been a concussion, there’s no overturning that call. When the rule was announced, it appeared to be common sense. After all, last year we witnessed the sickening collision involving Hawthorn’s Jordan Lewis and how he not only returned to the field that day, but played the next three games despite still showing ill-effects. 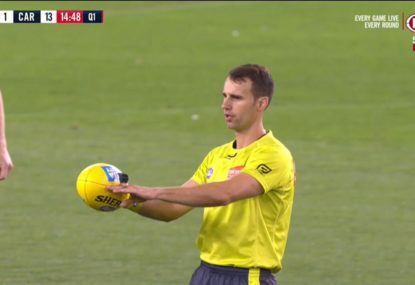 Then there was also Sydney’s Jude Bolton being concussed twice in the space of 90 minutes, and the footage of him struggling to stand on two feet to take a simple free kick. These incidents raised plenty of eyebrows on their own. 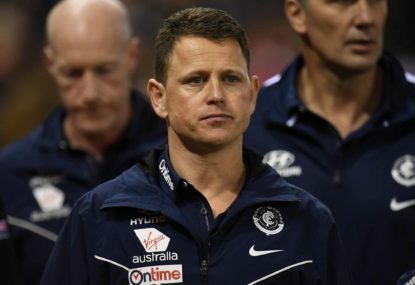 Meanwhile, the real prompt for change, according to the executive officer of the AFL medical officers association, Dr Hugh Seward, was new research that showed the impact of head injuries was worse than previously thought. In game one of the rule’s existence, though, the need for change has already been brought into question. It was almost farcical to see Waite, showing no signs of ill-effects, carry teammate Heath Scotland off the ground at the end of the game. 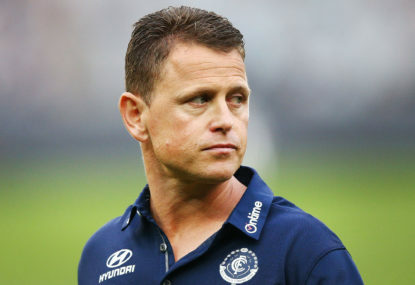 And you can guarantee the outrage will only grow from here – soon enough what happened to Carlton last night will happen to a team that ends up losing. Soon enough it’ll happen to a team after they’ve used their one substitute. Maybe it’ll happen to a team that goes through both. Imagine the outrage then! The research that prompted the rule apparently came from overseas. That’s not to say the research isn’t valid or shouldn’t be taken seriously, of course. But when the game’s own research suggests there isn’t a problem, further cases similar to Waite’s last night will only lead to more and more questions being asked. Last night the rule didn’t ultimately affect the outcome of a game. You get the sense, though, it will happen soon enough. And when a rule has that kind of capability, there’s bound to be plenty of scrutiny. Right now, the jury’s still well and truly out. Michael DiFabrizio is based in Mildura, Victoria. He has been an expert columnist at The Roar since 2009, leading to appearances on ABC News 24 and in the Age.